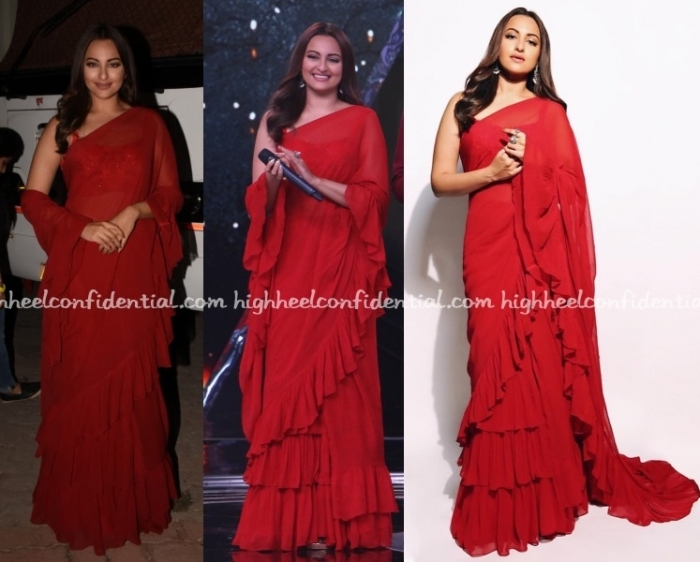 While on the sets of a television show to promote her latest movie, Madhuri was photographed in an Anamika Khanna sari. A striking red lip and heavy-duty jewelry rounded out her look. She looked absolutely radiant! 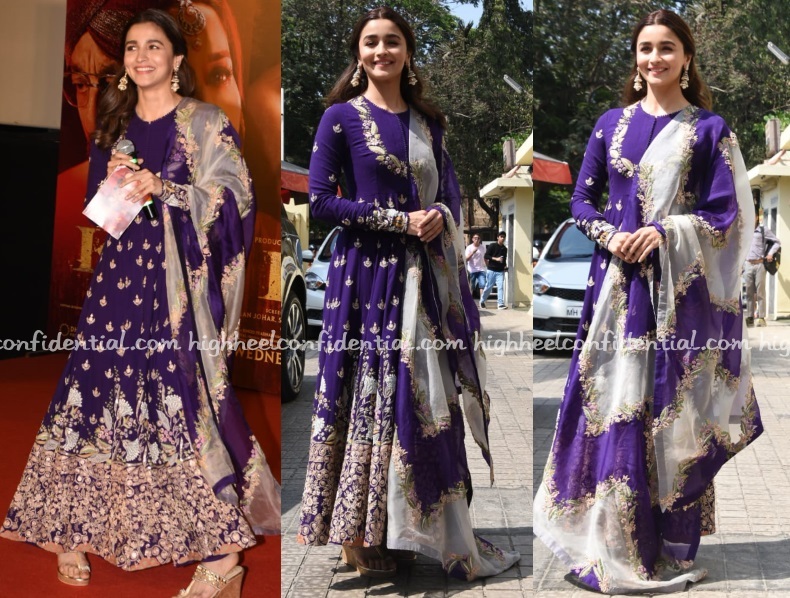 At the official trailer unveiling of Kalank, Alia was seen in a purple embroidered suit by Anamika Khanna with jewellery from Nora Jewels and kolhapuri wedges by Crimzon. An old school Anamika that too in a delish color; you won’t find me complaining. I really liked it. At the Majili pre-release event, Samantha was seen wearing an Anamika Khanna with jewellery from Kishandas. She did look lovely but I wish the long layered necklace had hints of emeralds too. Just to give more of a contrasting effect. Yes, I know, am nitpicking.